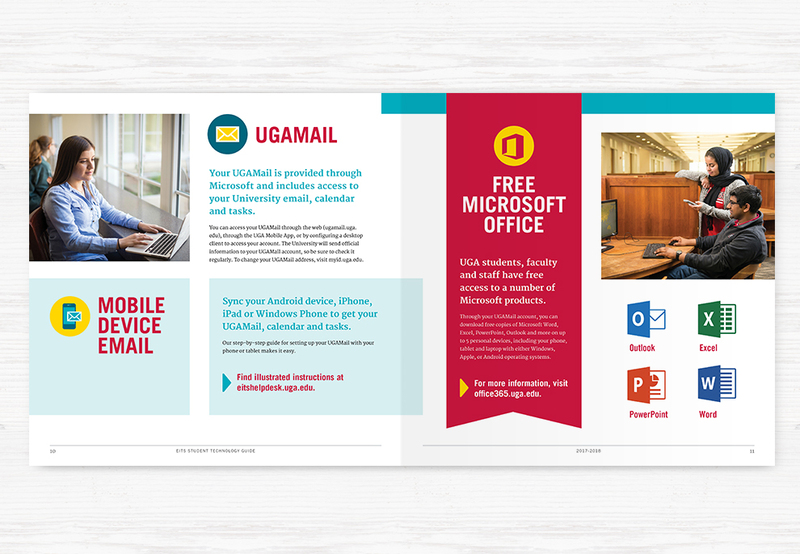 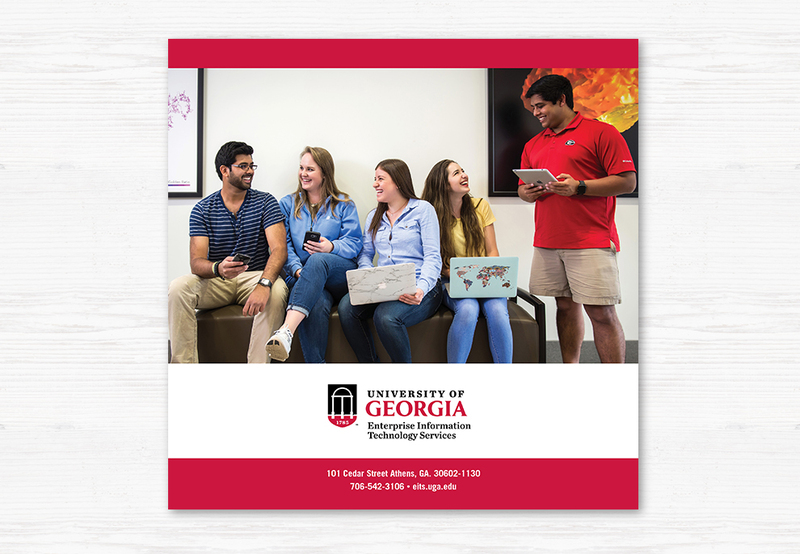 Our annual projects for the University of Georgia involve applying the new identity and branding standards that were introduced by the University this past year. 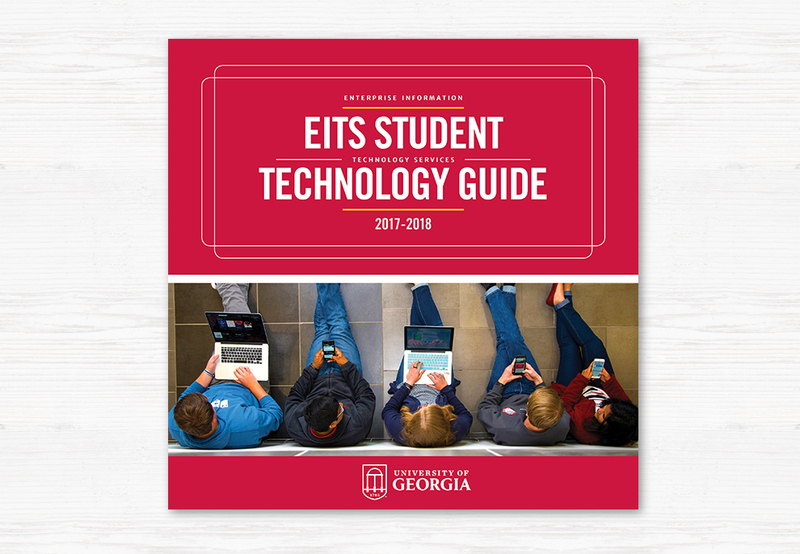 The EITS Student Technology Guide serves as an informational booklet for students to refer to for any and all of their technology needs and questions. 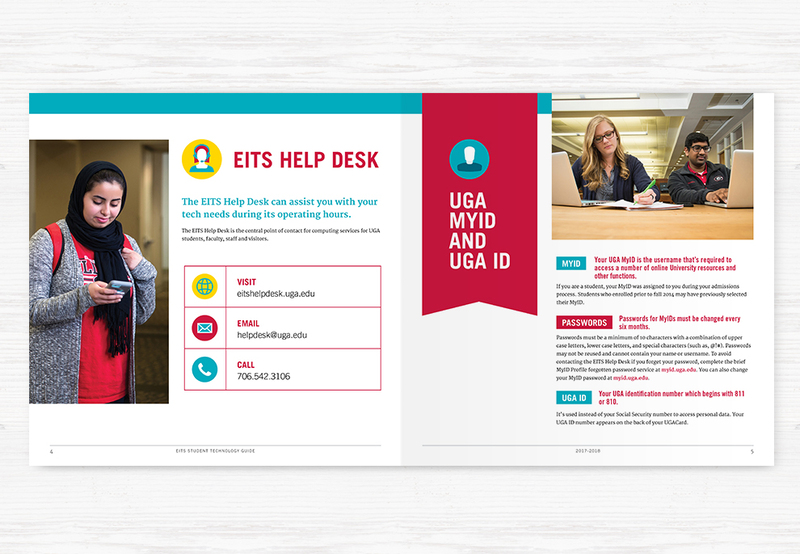 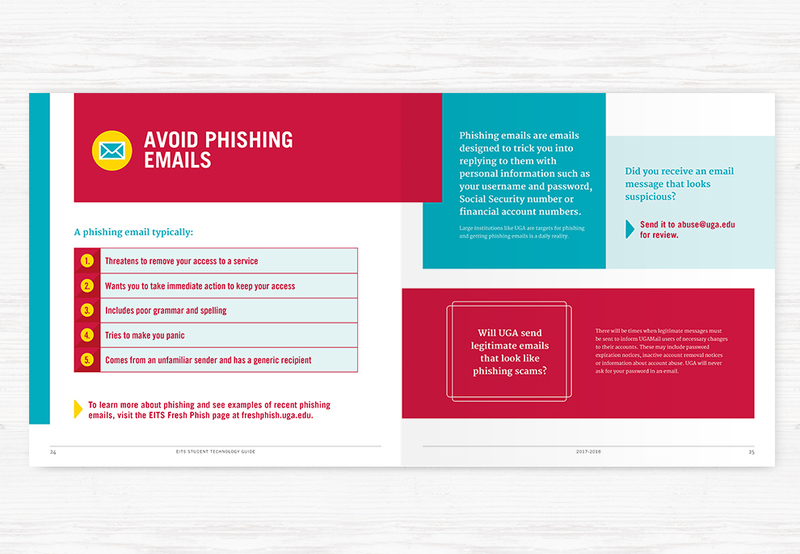 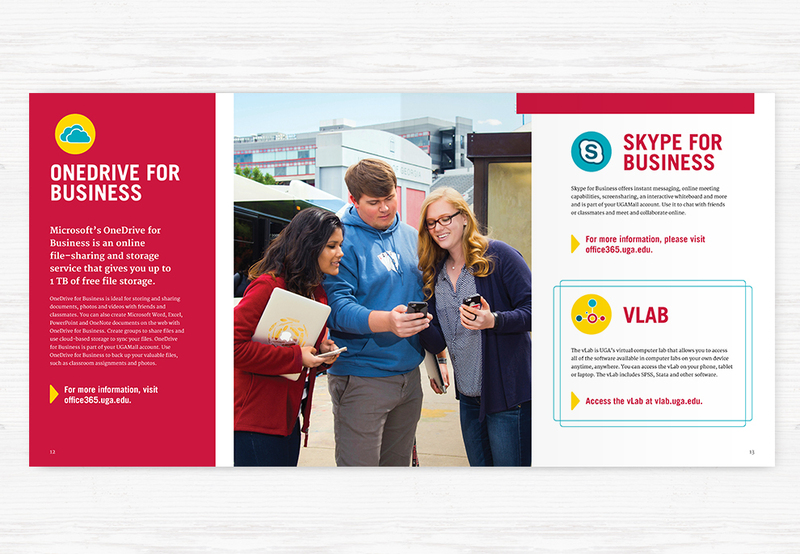 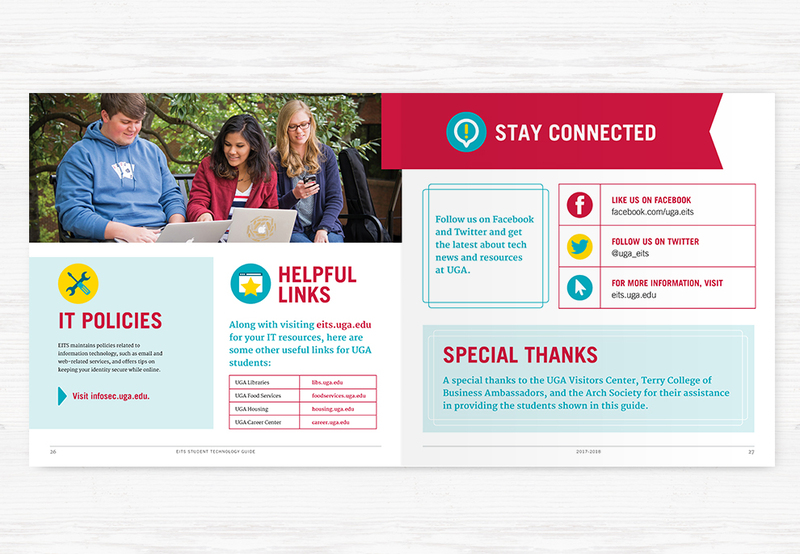 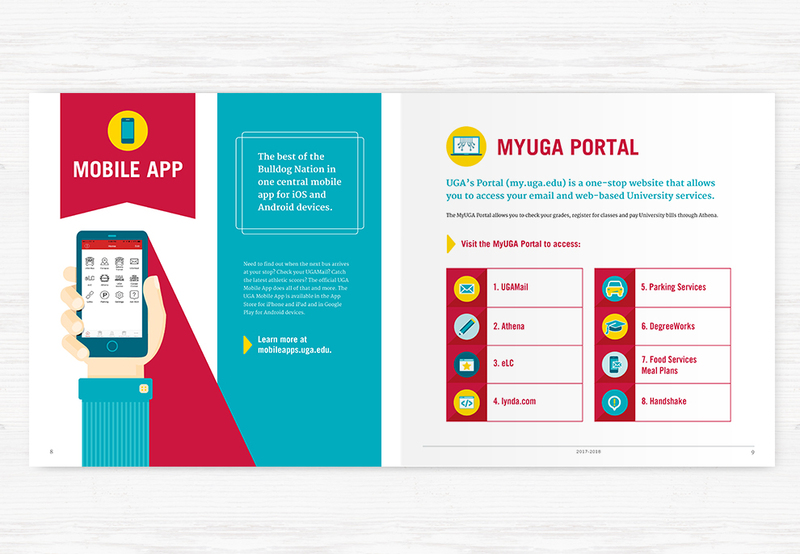 It was our goal to apply the University’s new identity standards using primary and secondary color palettes, giving the guide a fun and unique twist for students to enjoy.